Log into your store – http://yourstoreurl/admin and fill login details. Design configurations will decide the look and feel of your site. 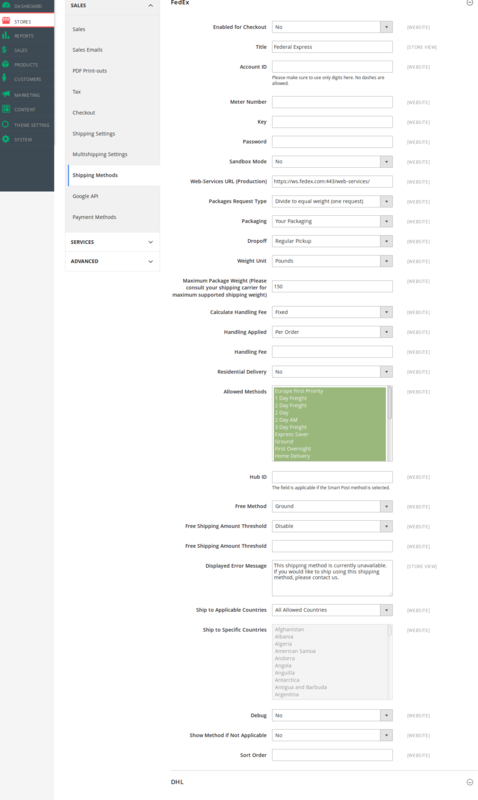 This configuration consists of multiple settings like header, footer, email structure etc. -Click Store > Configurations > General > Design to select theme. -Click Design themes to view and select one of our themes. -Change Default title to your store name, you can provide the description, keywords and Miscellaneous Script in this section. Upload logo image: For uploading image click browse and select image which you want to display as store logo. You can also specify image width, height, alternate text and welcome text in this section. Update footer content with your store’s information, such as contact details. You can specify copyrights in this section. -Mail: Mail section is responsible for the email design that is generated by your store. You can select logo image similar to header logo, the template can also be assigned for header and footer. - Here you can assign font, theme colors, custom colors for header, footer, page and content for your store. - In this section, you can make settings of the header, footer, category page , product page, contact us page, custom style. You can choose the type of header you wish to display on your store for that you need to import blocks first. Check demo installation. Choose Header Type from Dropdown. You can also see block id which is visible in the header. You can set newsletter title and description(content), which needs to be displayed in the footer. 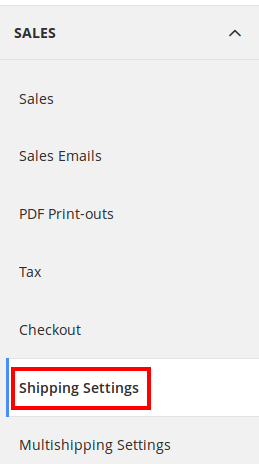 This is shown in the top left corner of the footer, You can show, hide or change the text of ribbon. You can include a logo in the footer, and provide copyright text in this section. This section consists of settings for product category page. You can choose whether to display product price, Compare link, wishlist button. You can also select which block to display in a left sidebar. - Here you can select the number of products to be displayed in a single line. 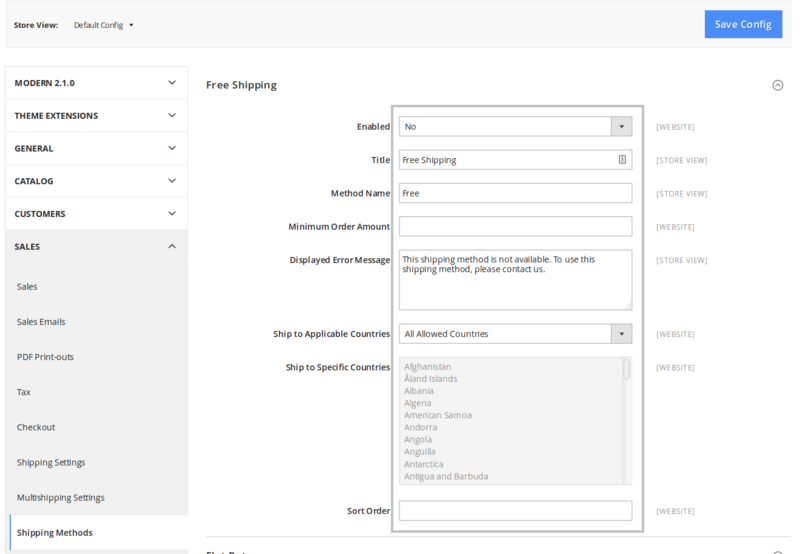 - In Move Actions, you can select whether to display actions( Wishlist , Add to cart, Compare) into product image area. - In this section, you can assign product image size with respect to page and block to be displayed in the sidebar area. - You can write your custom CSS in this section. Demo Installation : Store provides extremely easy - one click demo installation. 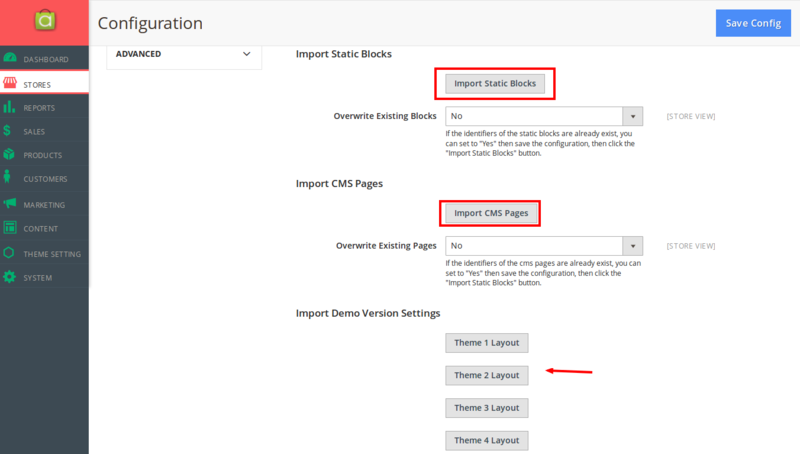 In order to do demo installation, you should import static Blocks and CMS pages - Settings Panel > Installation. 1. Click "Import" buttons to prepare demo installation. 2. Click "Theme X Layout" button to install demo version that you prefer to install. - To change page content go Content > Pages in navigation, this will display page list. - Now click on select > edit, you can add content such as title, URL-key, images, description,etc. - To create the new page click on Add New Page. - Block is part of page i.e. it can be included in any page. - To display block list, go to Content > Block, for editing click on select > edit in the action column. - you can edit the content of a block in the editor. Products are most crucial part of ecommerce site. As suggested by the name, it is widely used product type in any store. Such product is sold as a single item that does not have any variations. Each simple product has it's own Stock Keeping Unit (SKU), price, inventory. It is a "self-sufficient" product, however, with the help of Custom Options available store administrator can add necessary options with a set price for the customers to select e.g. : color, warranty etc. Simple products can be sold individually or as part of a grouped, configurable, or bundle product.It's a simple product which cannot be sold in variations like color, size, weight or anything. It's simply sold only by its name. To add Simple product click on a dropdown button next to Add New Product and click simple product. Grouped products are basically the group of simple products that are to be sold together, also known as kits. Grouped product is made up of simple standalone products that are presented as a group. You can offer variations of a single product or group based on season or theme . Grouped product provide the complete set of products which can be purchased in a group or separately. In the shopping cart, each item is listed separately. 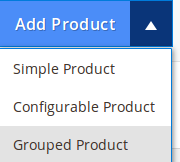 To add grouped product click on the drop-down button next to Add New Product and click simple product. This product type represents services which are offered by the website. It's an intangible product. The examples of this type can be beauty services, housekeeping services, etc. 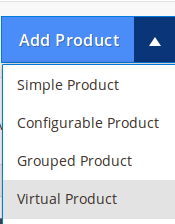 To add virtual product select Virtual Product from the drop-down list by clicking an arrow next to Add Product. The Configurable product is made from a simple product. You must have a simple product in order to create the configurable product. The configurable product actually composes of simple products with options such as size, colors, or any other attribute. These simple products are managed with different SKUs and inventory levels. Also, you can upload image or color swatch, price, and weight for each product. Customers have freedom to choose a product of any size and color. 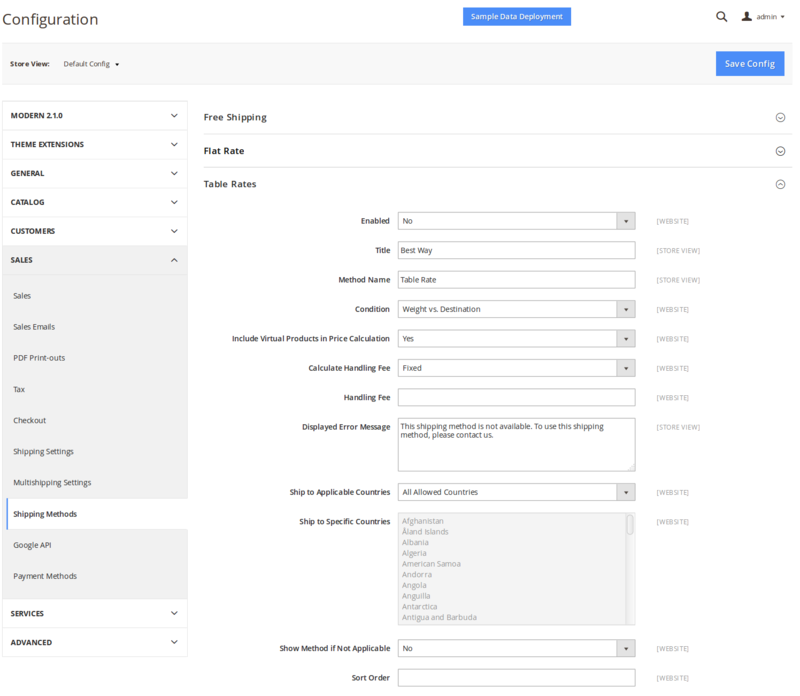 For providing options for a current product, click on create configurations and follow the process for creating the configurable product. The bundled product is a way to allow customers to get the products according to their wish. Bundles are basically two or more products sold together based on customer preference. The customer can select the products of his choices. As the name suggests, it is a simple product that can be downloaded such as music, file or software. Since there is nothing to ship, this product type doesn’t have shipping option. - Go to Product Catalog >> You can see “Add product” Section at the right upper-right, click on the triangle beside it, >> you will see 6 types of product you can choose. Enter directly the name of the template that you want to choose in the sandbox or click in the list and choose the template that you want to use. - Tax class :Assign according to the type of your product. 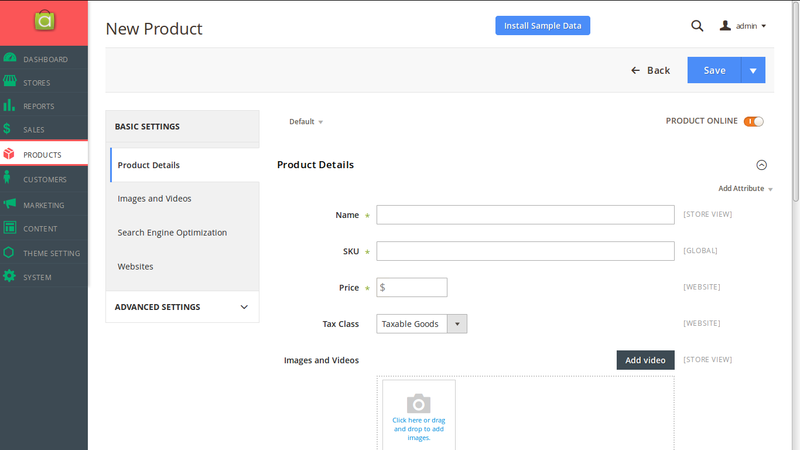 - Product Image: You can add multiple product images for a product. The store comes with a default root category but you can create your own and name it as you like. To do that, you will first need to login to the admin dashboard of your Magento 2 and navigate to Products >> Categories. To set country options such as allowed countries. Multiple countries can be selected for Allow countries. You can set currency for your store from the configuration. 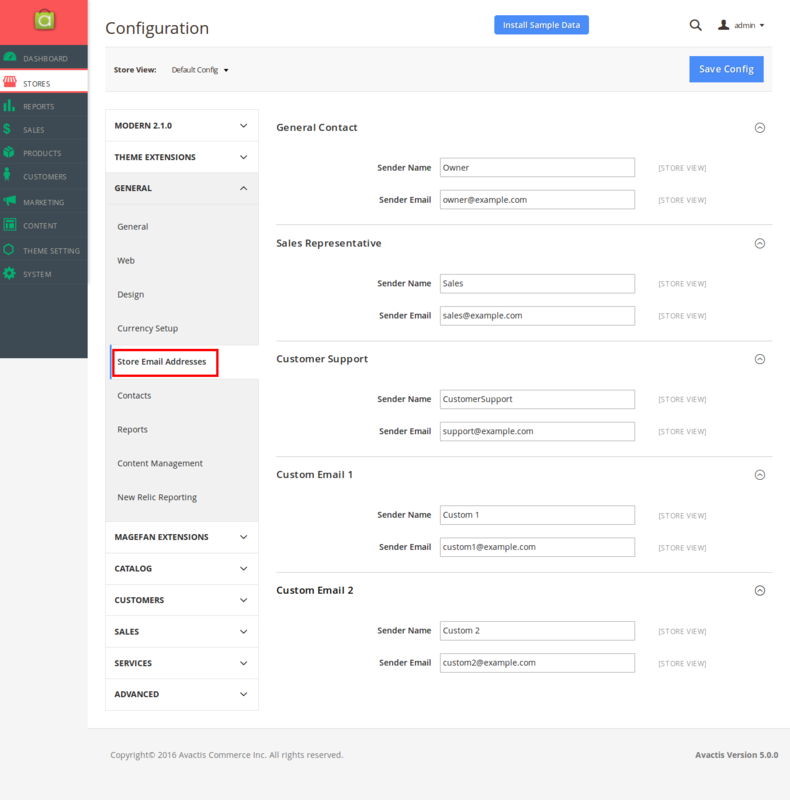 The first thing you will need to do is to log in the back-end of your website and access the Stores>Configuration section. 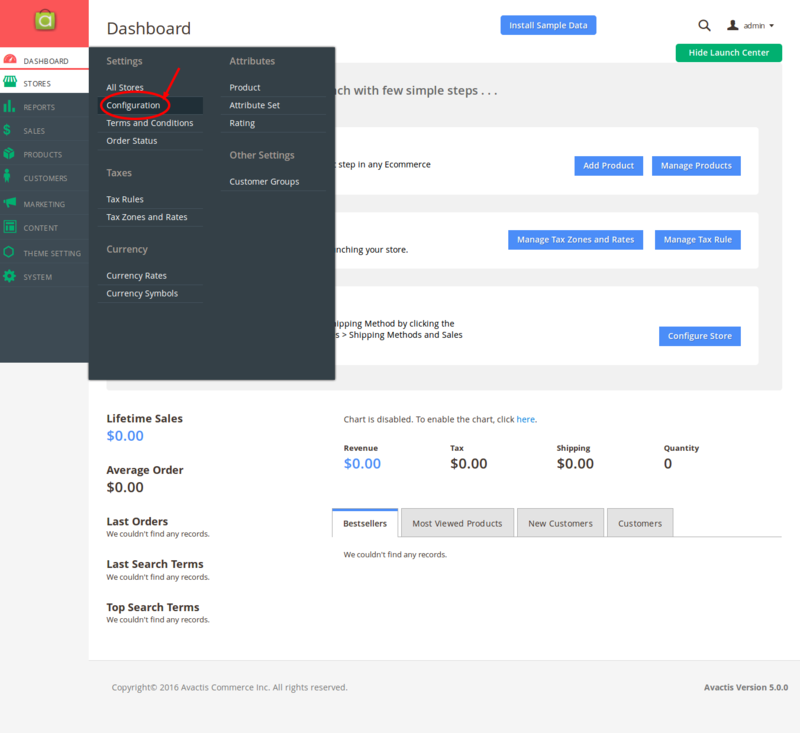 Once in the Configuration section of your admin dashboard, please navigate to Sales>Shipping Settings > Origin and add your Store’s information. Click on the Save Config button and flush the Cache. You can set custom shipping policy by selecting yes in Apply custom Shipping Policy. Free shipping is one of the most effective promotion methods in every E-commerce business, you can easily do this by a Magento 2 free shipping rules, which is automatically set free shipping for a product if it meets the custom condition that you choose before. You can restrict allowed countries for shipping. Flat rate shipping is a fixed option for customers, in this way, the charge can be predefined for each product or order. There are many store owners use this shipping method because of the simple and useful benefit that it brings. It is enabled by default. With Table rate shipping method in Magento 2, customers can have the smartest choice for their shipping option, based on data from many fields like Weight, Destination, Price etc. When customers choose an option, your store will automatically estimate the shipping fee for their order. Condition – The condition on which the method works. Here you can choose between Weight vs. Destination, Price vs. Destination and # of items vs. Destination the Standard Condition for Table Rate shipping methods is Weight vs. Destination. Payment is extremely important to every online business, all of your effort from attracting customers, persuade them to purchase will lead to payment. A bug that makes payment process don’t work correctly can make a business loss a lot of money, therefore, understand about payment configuration as well as know how to set up it is a mission that you can’t miss. 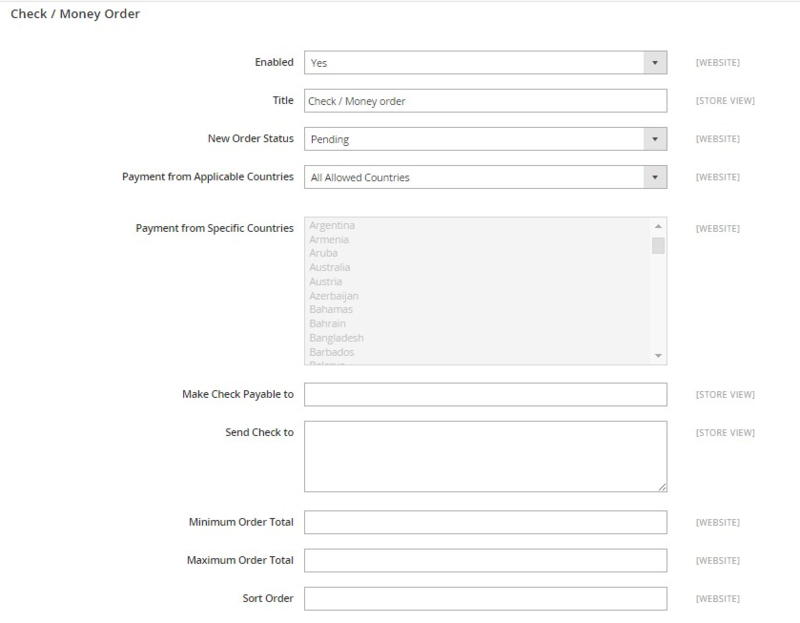 You can set up Check/money order is a default option as a Magento 2 payment method that you can apply for your online store. It is COD! 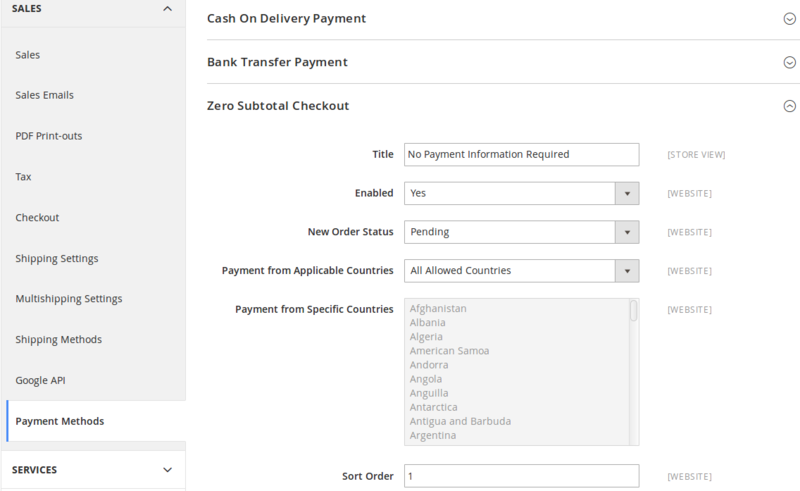 Like Money/Check order option you also can set your store just accept COD payment from some countries that you choose as well as the maximum order value that will be accepted. Customers will pay for shipping carrier and the carrier will bring money back to store owners. With this option, you accept payment that is transferred from a customer’s bank account and deposited into your merchant bank account. in their accounts payable system and pays for the purchase. 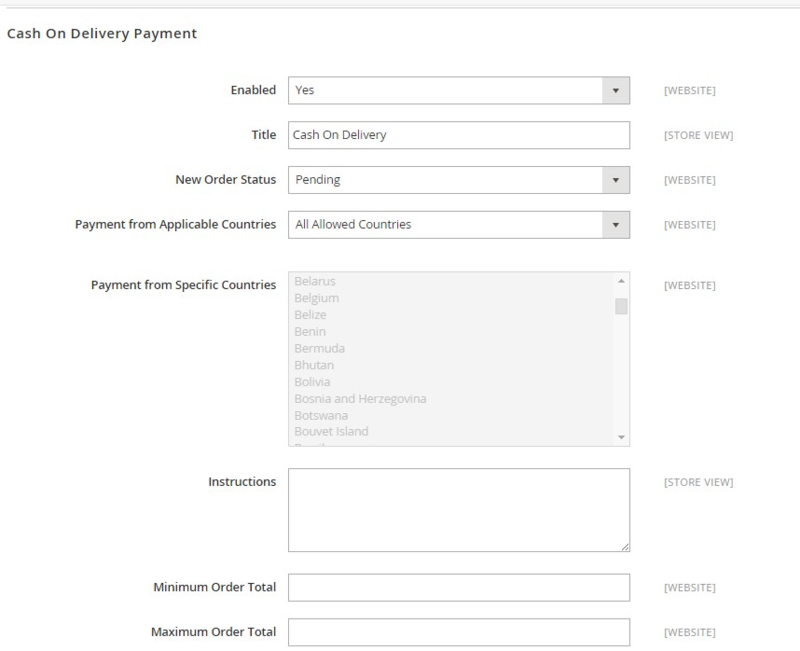 The way to enable the method is the same as for previous payment methods. This payment method is to be used when subtotal of payment is equal to zero and customers don’t actually need to pay anything. A gift card is being used and it covers the whole price of your product and its shipping. This option lets your customers pay by credit card but is only available to you if you have a virtual terminal or a real card terminal in a real store. Select “Yes” to Enable this payment method. Authorize Only option opens the following scenario: User passes all the authorization and merchant (you) will have to send a request to the payment system to get the money. 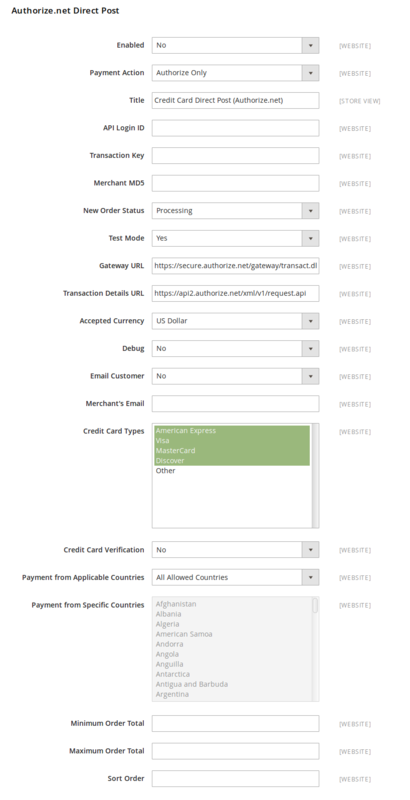 Authorize and Capture option simplifies the process for a merchant. The payment is authorized and money goes to merchant’s account right away. You can change Title of the method. Enter your API Login ID, Transaction key, Merchant MD5. 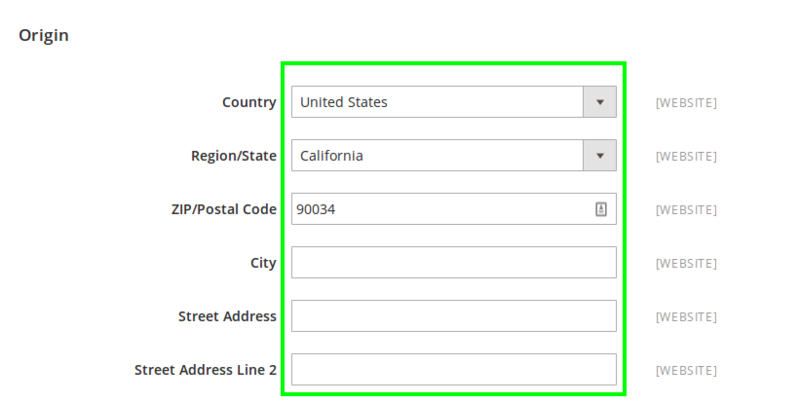 You have to get this information while registering your API. 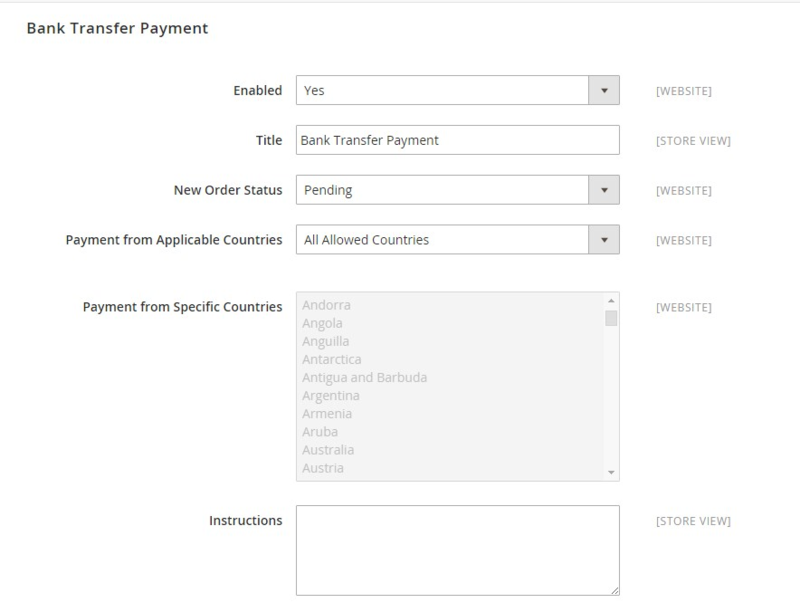 Enter Gateway URL, select in which currency you accept payments, enter merchant’s email , select from which types of cards you accept payment, Select “Yes” in “Credit Card Verification” field if you would like to ensure your customers don’t use fake credit cards, select from which countries you accept payments, define Min and Max order and Sort Order. When done, press Save Config button. 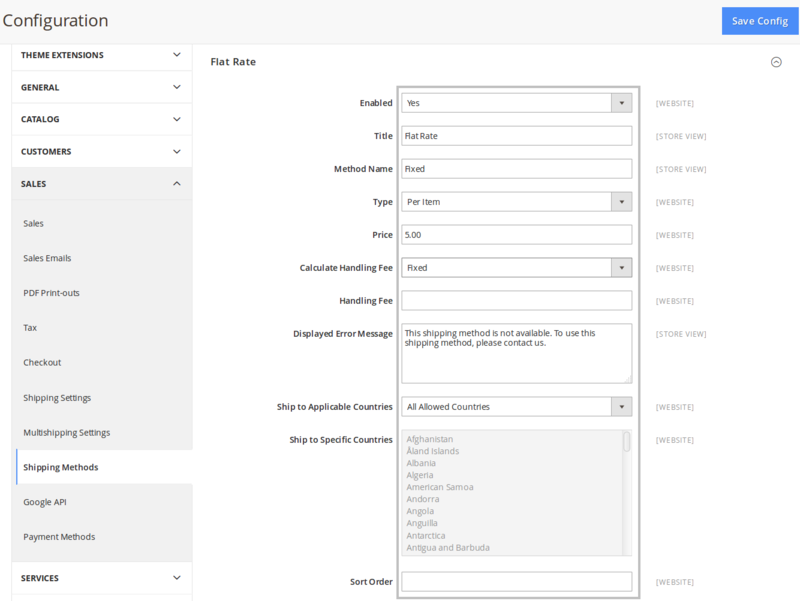 you will be able to create and set different Tax Rates for certain locations and/or product types. 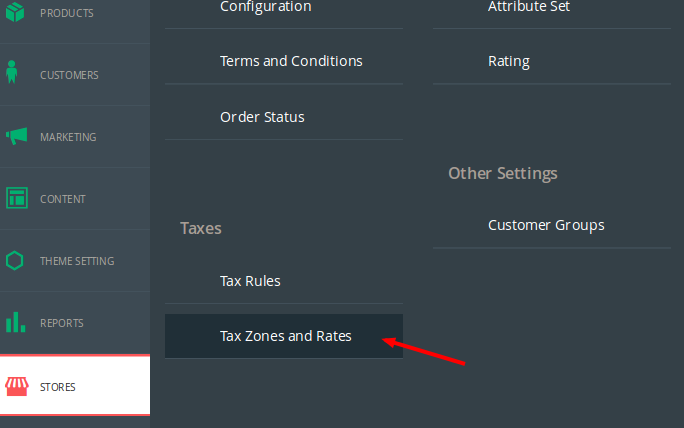 To create a new Tax Rate, login to your website's admin area and navigate to the Stores>Tax Zones and Rates section from the main admin panel. Fill required details and click Save Rule. In the Tax Rule Information part of the configuration, you will need to put a Name for the Tax. Rule and select the Tax Rate for it. Fill the Required details and click Save Rule. Avactis store provides the facility of creating catalog price rules for promotional purpose. Catalog Price Rules can be used to selectively offer products at a discounted price, based on a set of conditions. Catalog price rules do not use coupon codes because they are triggered before a product is placed into the shopping cart. Select the Customer Groups to which this rule applies. Set From and To dates to define the range of dates when the rule will be in effect (If you leave the dates blank, the rule is enabled as soon as the price rule is saved). Most of the available conditions are based upon existing attribute values. To apply the rule to all products, leave the conditions blank. Apply as the percentage of original:Discounts item by subtracting a percentage from the original price. For example- Enter 10 in Discount Amount for an updated price that is 10% less than the original price. Apply as fixed amount: This will discount the item by subtracting a fixed amount from the original price. For example- Enter 10 in Discount Amount for an updated price that is $10 less than the original price. Adjust final price to this percentage: Discounts item by defining the final price based on percentage. For example- Enter 10 in Discount Amount for an updated price that is 10% of the original price. Adjust final price to discount value Sets the price to a fixed amount. To apply the discount amount to associated products, set Subproduct Discounts to “Yes.” Select the pricing structure, and enter the Discount Amount. To stop processing other rules after this rule is applied, set Discard Subsequent Rules to “Yes.” This safeguard prevents customers from receiving multiple discounts for the same product. Fill the required details and click Save. 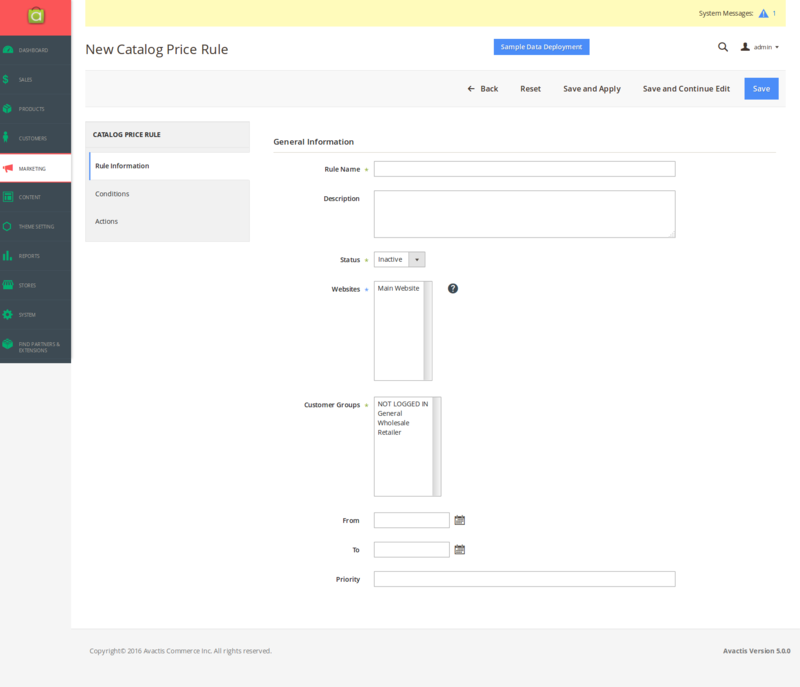 To apply the new rule immediately, from the Catalog Price Rules grid, tap Apply Rules. 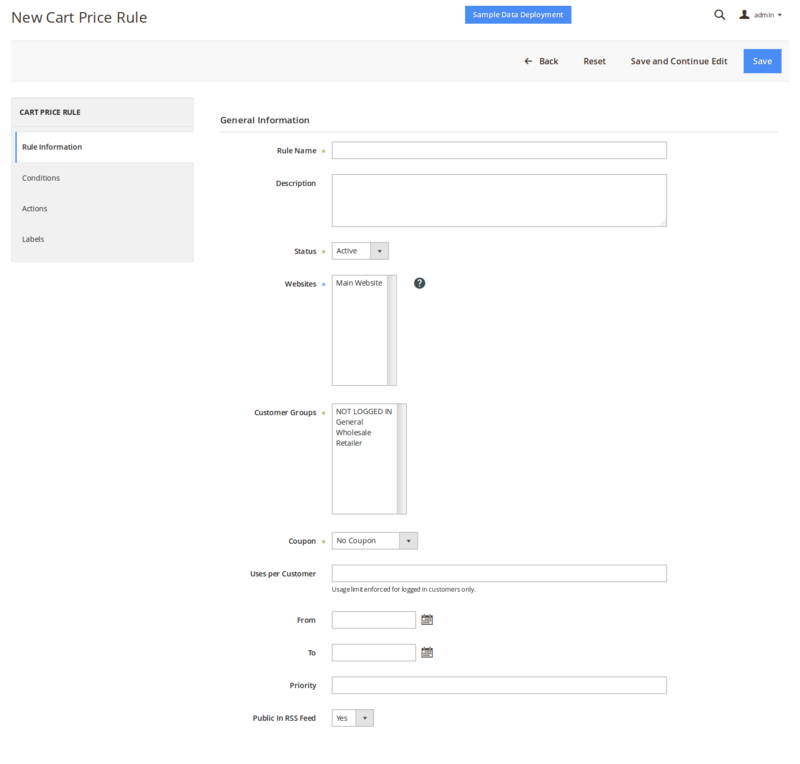 Cart Price Rules apply discounts to items in the shopping cart, based on a set of conditions. The discount can be applied automatically as soon as the conditions are met, or when the customer enters a valid coupon code. When applied, the discount appears in a cart under the subtotal. A price rule can be used as needed for a season or promotion by changing its status and date range.